Welcome to Quiz night NI, we provide entertaining quiz nights throughout Northern Ireland. From bars and pubs to private events and fundraisers, you can choose from traditional pen & paper style to our modern smart phone speed quiz. Looking for a professional host for your Quiz Night? Then you have come to the right place. Whether you run a small local pub or a large corporate company, Quiz Night NI can provide the questions (and the answers) to suit any event in Northern Ireland. We can use existing PA systems and screens if the venue allows or bring our own, either way we have the professional expertise to provide a quality quiz night. With questions sourced from multiple topics every quiz night is custom built from beginning to end, we can even Taylor a quiz to your own specifications, and we always ensure questions are always up-to-date, including recent news and events. Why not kick off a birthday party or any function with a private hire quiz. We can make a full night of it or arrange short quick fire rounds to allow for evening entertainment to follow the quiz. Weddings are the perfect setting, with everyone already organised in teams fill in the extra time between dinner and first dance with a bit of trivia while the DJ or band sets up, our smart phone speedquizzing works great at weddings and is very entertaining!! Want to theme the quiz to suit your event? No Problem. Give us your theme and we will do the rest, need a little inspiration? We can help too, why not have a music and movie themed quiz or superheros & villains with fancy dress to match. We have dozens of ideas so get in touch today and we will be happy to help. Quiz nights have evolved into something very special. 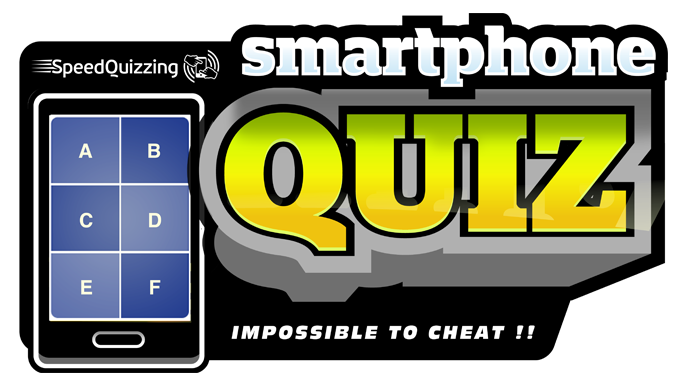 Quiz night NI is proud to present Smart Phone Speed Quizzing anywhere in Northern Ireland, From Bangor to Lisburn, Belfast to Armagh. Gone is the slow pace. Gone is the cheating and gone is the slow quiz marking process. Use the keypad displayed on your phone or tablets screen to answer each question. You must be quick though, every question has a set time limit. Choose your sound at the start of the quiz for the quick fire buzzer round, first team to buzz in gets the points, but if your wrong you get locked out. No more looking up that TV series you recognise number 2 from, the pictures are sent directly to the screen of your device or tablet, and you have 10 seconds…. 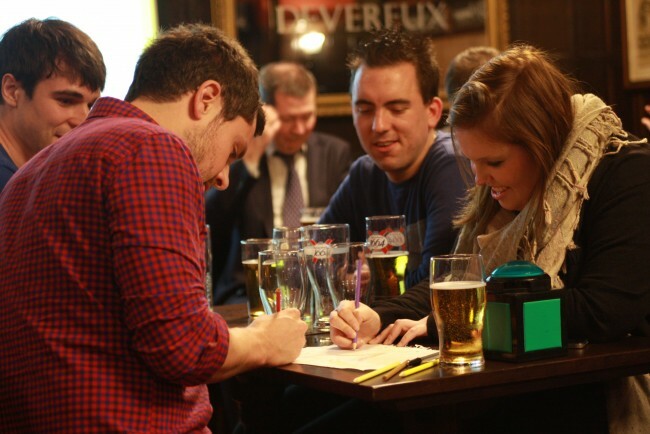 Keep it old school with a good pen and paper pub quiz. A little slower paced than the smart phone speed quiz but gives more time to think and discuss answers. We can still utilise modern technology with the use of screens for picture rounds etc as well as throw in some challenges to add a little entertainment to the quiz.